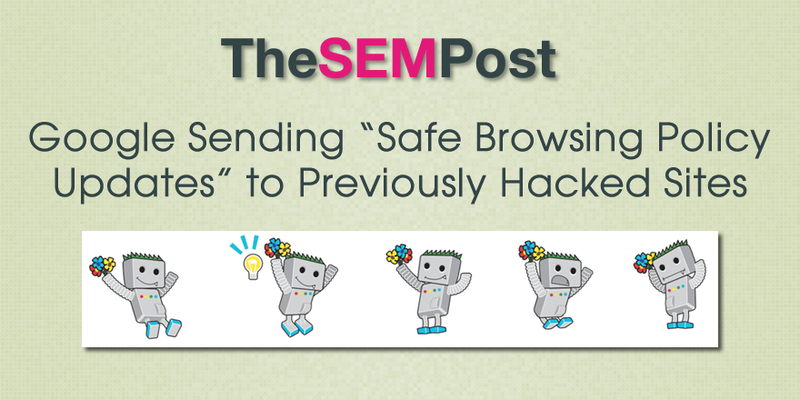 Had a hacked site that Google alerted you to in the past? 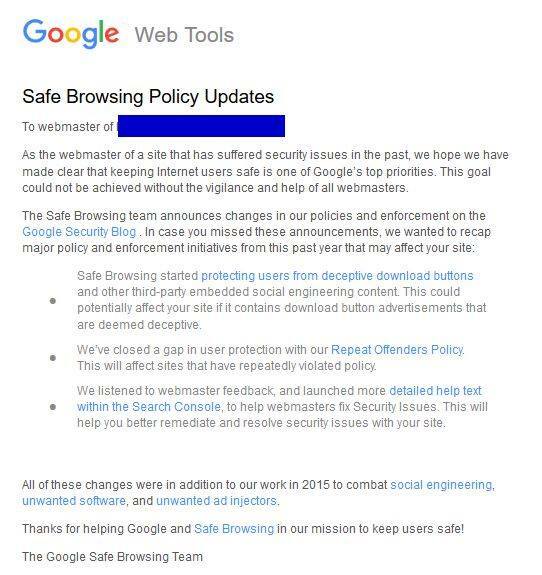 Google is sending out “Safe Browsing Policy Updates” notices to site owners who have had their sites hacked previously. The notices do not seem to be triggered by any current issues on the site, but seem to be serving as a reminder to the site owner to keep on top of any security issues that might pop up on their sites, along with resources and consequences for compromised sites. While nothing in the notice is specifically new, it does remind users about deceptive download buttons being problematic, reminds about the new-ish “Repeat Offenders Policy” for those who deliberately allow their sites to be unsafe for users while only cleaning it long enough to pass a Google review, and the additional help site owners can find in Search Console. This is interesting that they are reaching out to these webmasters. They do provide a reminder to those site owners to check their sites. But it is curious that it lacks any kind of reminder about ensuring a site’s CMS/plugins are up to date, since many of the sites hacked are as a result of an outdated CMS or plugin. It would seem to be a perfect place to remind site owners of that. If you receive one, it doesn’t seem to be triggered by any current issues – after all, there are specific warnings just for that. But rather as a reminder that Google treats these issues seriously.